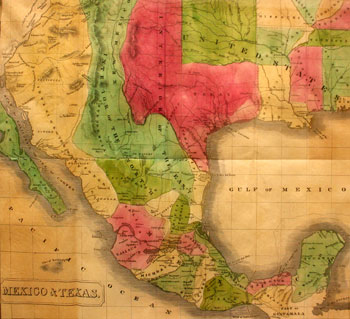 The Yana & Marty Davis Map Collection is one of the largest and most diversified selections of Texas maps in the state. The collection, housed in a special map room, is available for study by special arrangement. Selections from the collection are on display adjacent to the map room. To schedule an appointment to visit the map room, please contact Matt Walter at 432.837.8735 or ude.s1555771516sorlu1555771516s@ret1555771516lawm1555771516. View a selection of maps in the collection. Retablos were produced during the mid 1800s through the early 1900s in Mexico and are small, personal devotional paintings on tin. The Betty Byerley Collection at the Museum of the Big Bend contains over 25 retablos that are an excellent sampling of these works. The Holy Family, the Trinity, and numerous saints are represented in the collection. In addition, Leo Byerley, when donating these retablos in honor of his wife, included three ex-voto tin paintings. Ex votos were commissioned by an individual to thank a particular saint for his or her intercession and help during a time of crisis. For more information, contact Mary Bones at 432.837.8734 or ude.s1555771516sorlu1555771516s@byr1555771516am1555771516. 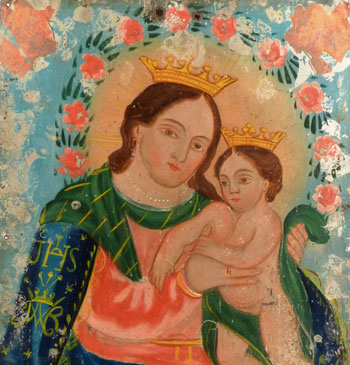 View a selection of retablos in the collection. Clicking this link will open a photo gallery in a new window. In 1906, Susan Janes made the last of her seven trips to a cache of arrowheads located on Mount Livermore in the Davis Mountains. 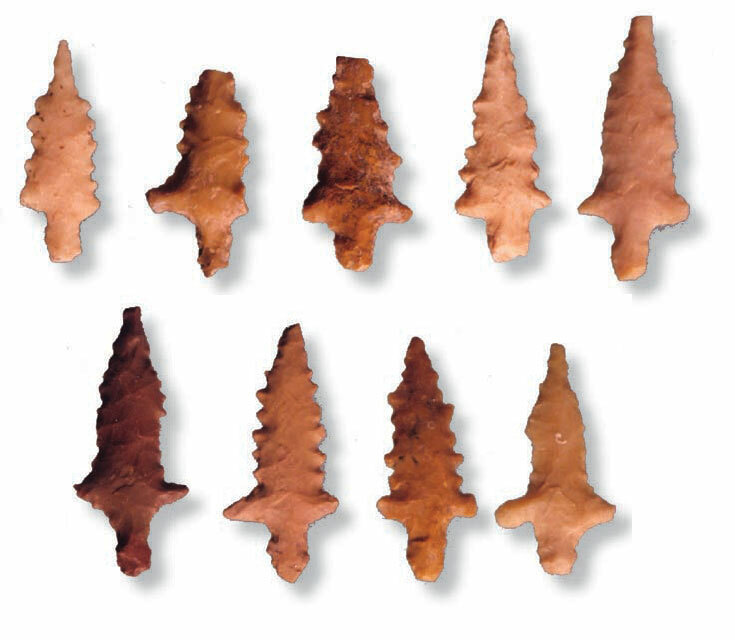 One hundred years later, these arrowheads, known as the Livermore points, continue to intrigue and confound archeologists. At the pictograph site called Tall Rock Shelter the same type of points have been found. Read more about the Livermore cache in the Spring 2009 issue of La Vista de la Frontera, a publication of the Center for Big Bend Studies. To view the Spring 2009 issue, you will need Adobe Acrobat Reader.